Dr. Dee Patton received the BS in Electrical Engineering from The University of Texas at Austin in 1957, the MS in Electrical Engineering from the University of Pittsburgh in 1961, and the PhD in Electrical Engineering from Texas A&M University in 1972. He is a Registered Professional Engineer in the State of Texas holding license number 25077. He is a Life Fellow of the Institute of Electrical and Electronics Engineers cited for contributions to electric power system reliability analysis and assessment and was awarded the IEEE Richard Harold Kaufmann Award in 2000 for contributions to power system reliability analysis and its application to industrial power facilities. He is a member of the National Fire Protection Association and the National Association of Professional Engineers. 1957-1965: Engineer, Electric Utility Engineering Dept., Westinghouse Electric Corp., Pittsburgh, PA. In this period he conducted studies of electric utility systems, developed methods and software for electric utility system planning, developed methods for predicting and assessing power system reliability, and assisted in new product development and product applications. 1965-1979 and 1983-2000: Professor, Electrical Engineering Dept., Texas A&M University, College Station, TX. Served as Head of the Electrical Engineering Dept., as Director of the Electric Power Institute, and as Director of the Center for Space Power. During this period he developed and taught courses in the area of electric power and energy systems and conducted and directed research in that area for the electric utility industry in Texas, for the Edison Electric Institute, for the Electric Power Research Institute, for the U. S. Dept. of Energy, for NASA, for the Sandia and Oak Ridge National Laboratories, and for the IEEE. A primary focus of the research was the modeling and assessment of electric power system reliability for planning, design and operating purposes. 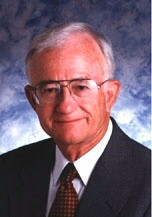 He retired from Texas A&M University in 2000 and was named Professor Emeritus in 2005. Forensic engineering and expert witness. He has consulted, conducted forensic engineering investigations, and acted as an expert witness in more than 150 cases filed in state, federal and regulatory venues and has consulted and participated in many additional event investigations for manufacturers, utilities, commercial and industrial entities, municipalities, insurance companies, and individuals. These cases have involved electrical injuries and death by electrical contact and arc flash; electrically related fires in industrial facilities, commercial buildings, and residences; losses due to electric service outages; patent disputes; and electric utility regulatory issues. Engineering studies. He has conducted and directed electric power engineering studies for a variety of clients including industrial plants, electric utilities, hospitals, and research agencies. Development of methods and software for bulk power electric utility system reliability prediction and assessment. He has directed, conducted and co-developed methods and software for the reliability prediction and assessment of large interconnected bulk power systems for clients including EPRI, ERCOT, GE and individual electric utilities. These methods have been and are now widely used in the electric utility industry. Training seminars. He has presented seminars on the subject of electric power system reliability in a number of locations. 2008-2010: Unaffiliated Director, Texas Regional Entity. He served as Vice Chairman of the TRE Advisory Committee. 2008-2011: Unaffiliated Director, Electric Reliability Council of Texas, Inc. He served as Vice Chairman of the Human Resources and Governance Committee and as a member of the Special Nodal Program Committee. Dr. Patton has authored or co-authored some 123 papers and reports in his fields of research and has contributed to IEEE Standards 493 (Recommended Practice for the Design of Reliable Industrial and Commercial Power Systems) and 399 (Recommended Practice for Industrial and Commercial Power Systems Analysis). Additionally, he has given lectures and presentations on diverse electric power topics at 32 venues in the US and abroad.